Christopher Johnsey is a painter from Sheffield in the UK. He studied BA Fine Art at Middlesex University, London, graduating in 2010. 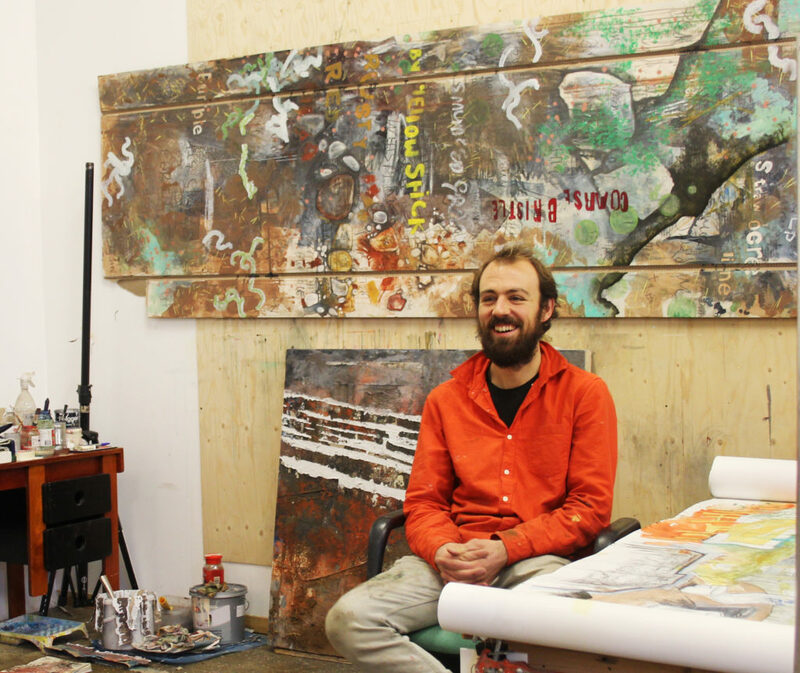 Chris makes reportage drawings and paintings, poetry and sound recordings, exploring the relationship between the environment and the human race, and our impact. 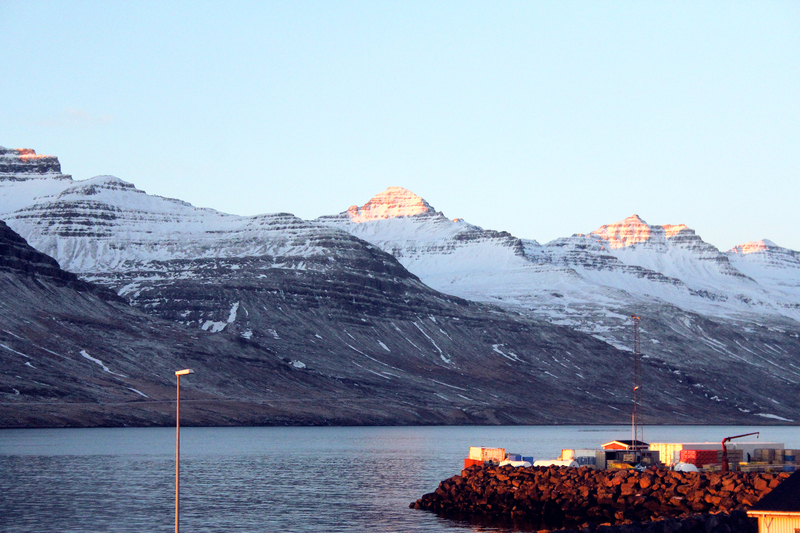 During his month with us in October, he studied the ever-changing climate and environment of Stödvarfjördur. 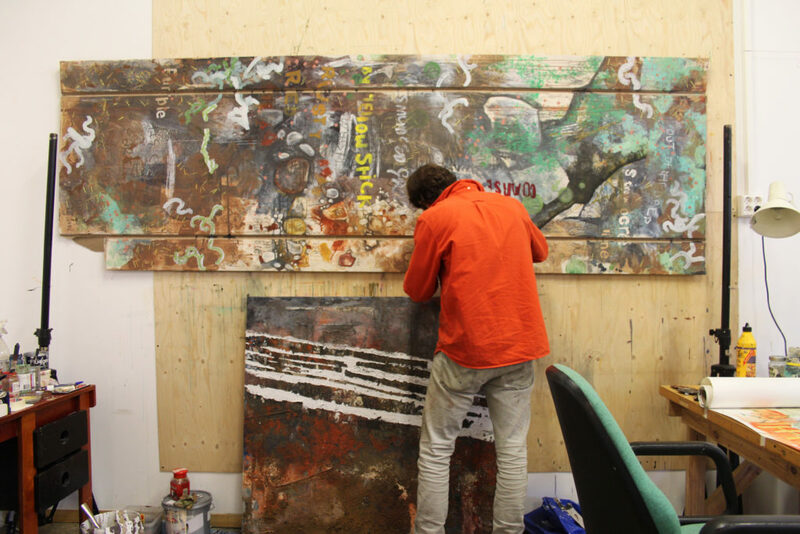 Working on board and old curtain material found at the Fish Factory, Chris created a painting capturing the atmosphere of his surroundings that he constructed by making a daily entry onto the surface. 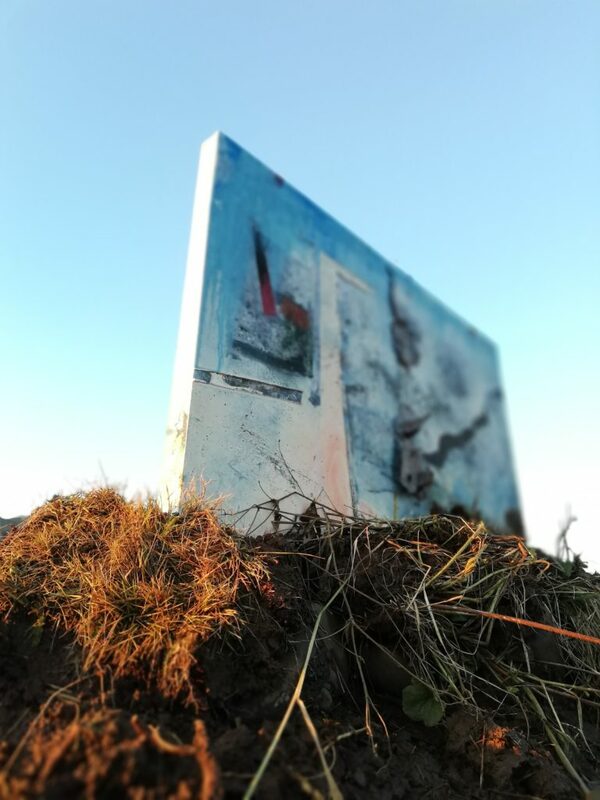 Chris worked outside in all weathers, allowing the elements to affect the surface of the piece. Sometimes the rain would erase the previous days work, or the sunlight and crisp wind would dry or crack the painted material. 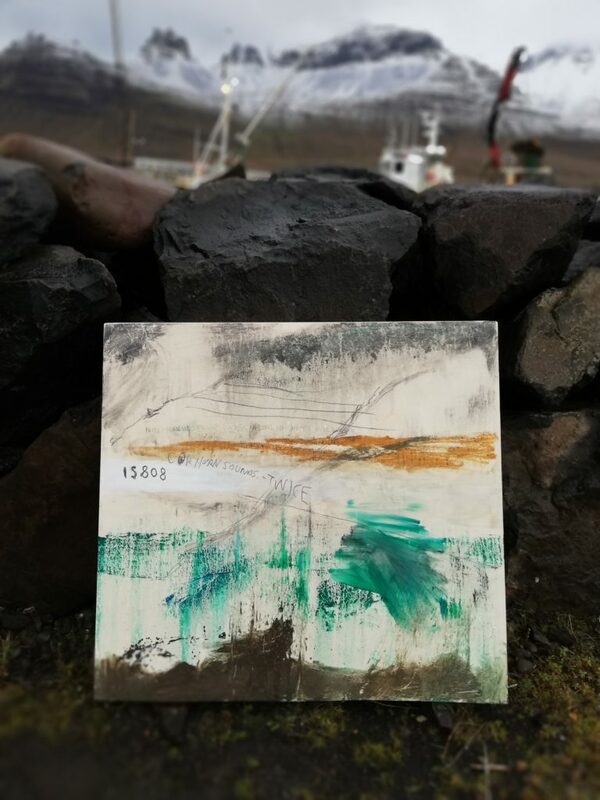 He was interested in what happens in giving up a certain degree of control, and how the outcome creates a document and a record of his time in Stödvarfjördur.